One of the highlights of being a rabbi is performing weddings. I have officiated at the weddings of over 60 happy couples since being ordained as a rabbi at the Jewish Theological Seminary in 2004. I have also successfully helped a few brides and grooms meet each other. In January 2010, I was named the JDate Rabbi of the Month. I meet with couples several times before "the Big Day" so I can get to know the bride and groom better, help them know each other better, and provide pre-marital counseling to ensure a healthy marriage. Each wedding is personalized for the bride and groom. A highlight of the ceremony is always the reading of letters the bride and groom wrote to each other expressing their love for one another. "We were thrilled and honored to have Rabbi Jason Miller officiate at the most special event in our life thus far- our wedding! His charismatic personality shined through as he spoke about our marriage, our family, and our future together. We could not have been happier having Rabbi Miller marry us on our wedding day. It was the most memorable day of our lives, and he was a significant part of it! We will forever talk about the unbelievable job he did and we could not have picked a better person or rabbi to officiate our marriage. He personally made our wedding extra special and we cannot thank him enough! Thank you so much Rabbi Jason!" 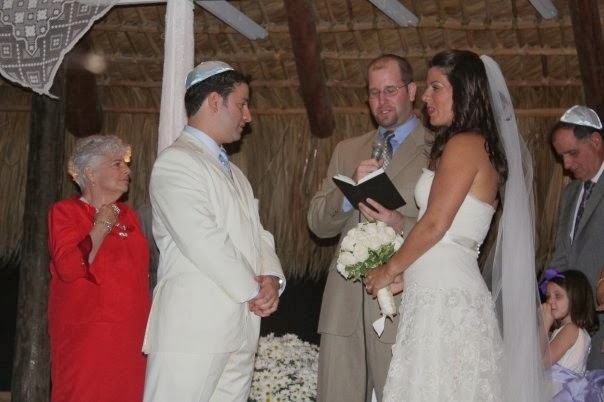 "We got married in the Dominican Republic and we loved Rabbi Jason so much that we flew him and his wife down to officiate our vows... interestingly enough neither of us had ever met Rabbi Jason prior to one meeting in NYC, yet we felt like we knew him for a very long time. He made our wedding feel intimate, fun, traditional and exciting. We only wish Rabbi Jason lived closer to us and our now 2 children so he could officiate every Jewish milestone. We have only wonderful and fun memories of that day!" 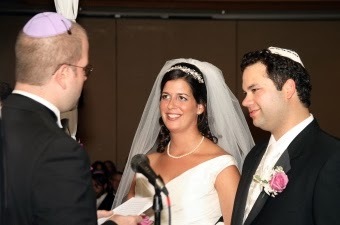 "From the moment we approached Rabbi Miller about officiating our wedding, we felt he understood us and had a deep interest in joining our lives together in a meaningful way. During our meetings prior to the wedding, Rabbi Miller was warm, funny, genuine, and caring. He gave us the spiritual and practical guidance that we needed to feel confident and comfortable in our path. His message still resonates with us. As we approach our eight year anniversary, we look back at the strong foundation he helped us establish, and ahead at the joys of life together. Our friends and families agreed, but we know we felt it most of all: our ceremony was special. It was exceptional, splendid and magical. 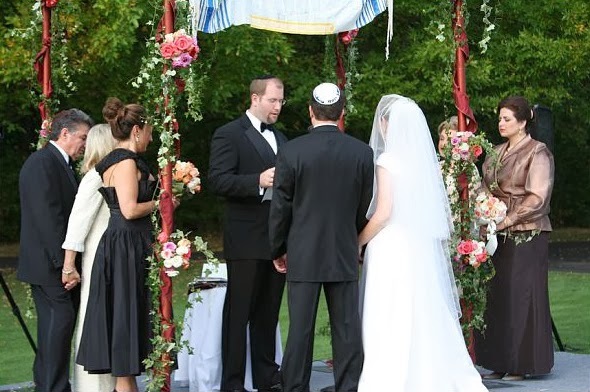 We still look back and talk about how blissful and exalted we felt under the chuppah. Rabbi Miller has our eternal appreciation for not only officiating, but being a spiritual, personal and practical guide for us." 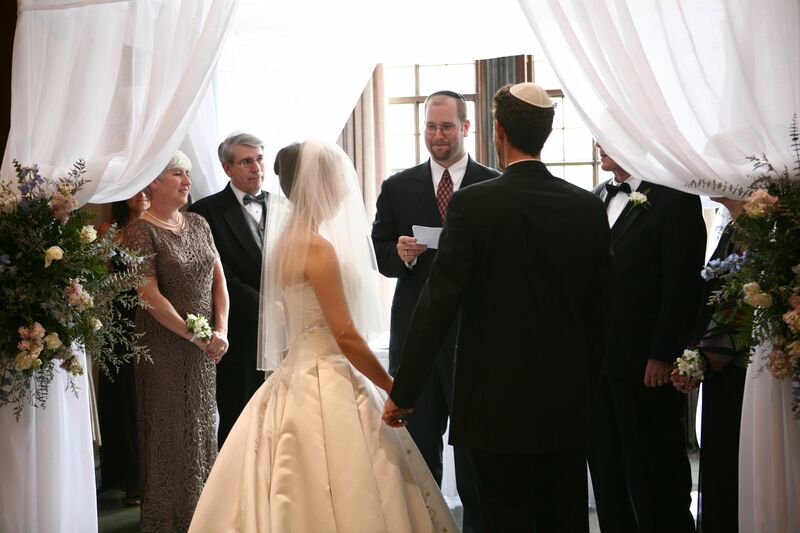 "Rabbi Jason Miller proved a wonderful guide as he led us through the rituals of our wedding day. Of particular note were the letters he had us write to each other prior to the ceremony, portions of which he read to the guests with our permission. This was a moving addition to the wedding that made this day that much more memorable. We thank Rabbi Jason so much for helping us out with everything for the wedding and for marrying us! We're so glad that we feel close to him and we learned so much from him during this entire experience." 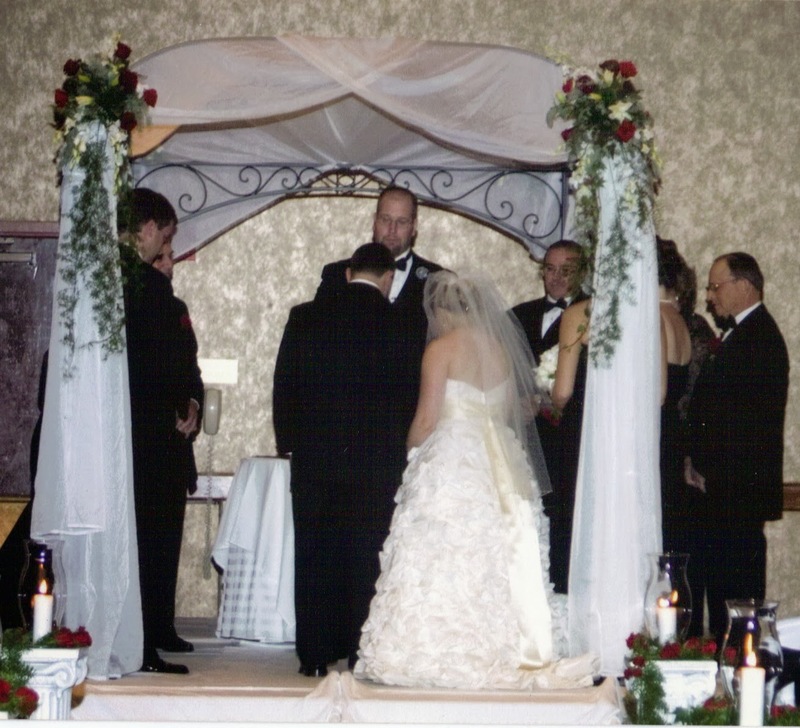 "Rabbi Miller did an amazing job officiating our wedding. Both of our families came up to us after to say it was a beautiful ceremony. The exercises that we worked on before the wedding, helped us discuss difficult topics. We were planning a wedding from out of state, and he was very easy to work with. We loved how he had us write each other letters and incorporated our words into the ceremony. The ceremony had a very personal touch." Rabbi Jason did an amazing job officiating our wedding. He developed an immediate relationship with my wife and I that went well beyond just the ceremony. He genuinely cared about our life together and has given us guidance and friendship that went well beyond just that day. He made the ceremony both personal and welcoming, learning about both of us and truly conveying it to all of the individuals in attendance. He has been a great guide - both pre and post wedding - and we couldn't be happier. I have known Rabbi Jason Miller since we were both toddlers. When I asked him to officiate our wedding, I thought he would not need to prepare much given how well he knew me. However, Jason still spent time with me and my then-wife-to-be to learn about us as a couple. He asked thoughtful questions and applied our responses toward creating a personally meaningful and beautiful wedding ceremony. Whether he has known the bride and groom for years or days, Jason cares about those for whom he officiates. "Rabbi Jason did an amazing job. From the preparation to the actual service, he was more than helpful and accommodating. I would highly recommend him to anyone in need of a rabbi." 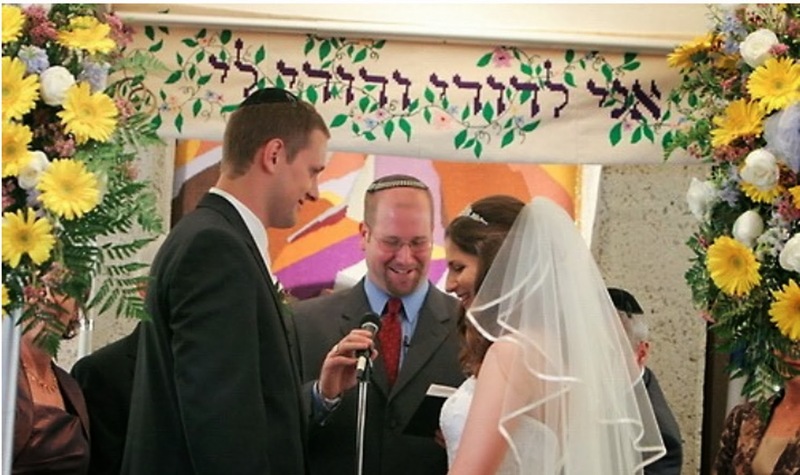 "Rabbi Jason oversaw our wedding six years ago. At the time he was the Rabbi at our Synagogue. We had a tremendous ceremony beautifully officiated by the Rabbi. I got to know Rabbi Miller on somewhat of a personal level during this time period. He was a wonderful Rabbi and I still count him among my friends today... Highly recommended"
"There is no way we'll ever be able to thank you enough for introducing us and for officiating such a special ceremony." "Thank you so much for being a part of our wedding. We wanted to let you know that we received a lot of compliments on the ceremony. Everyone appreciated your descriptions, and one of my mom's uncles said it was the most meaningful ceremony he's ever witnessed." 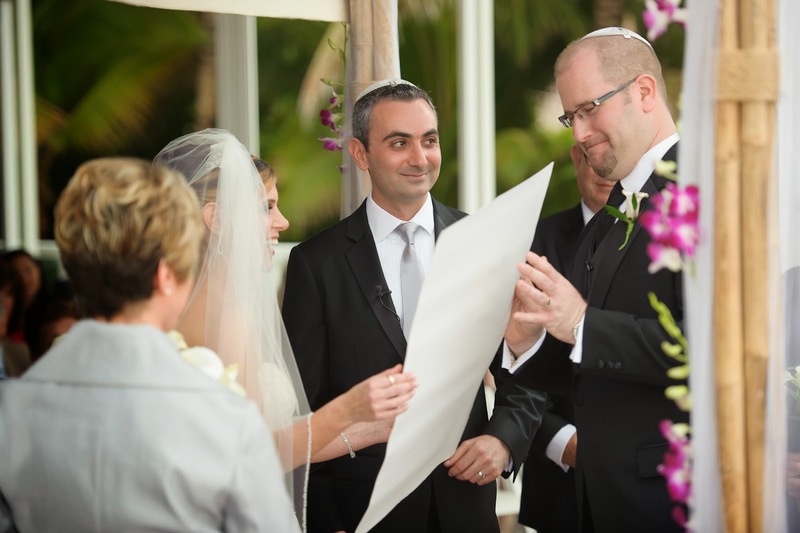 "Rabbi Jason - you made our wedding so much more special and memorable. We can't thank you enough. Have you officiate our wedding was incredibly meaningful to us. The compliments we have heard from everything you did for us last weekend at our wedding have been truly remarkable -- needless to say, you were a huge hit amongst family and friends alike. We were thrilled and honored that you played such a big role in the entire weekend." "We cannot thank you enough for all of your support and guidance while planning our wedding. Our ceremony was so beautiful and so memorable because of you. Thank you for being there for us." "Rabbi Jason, Thank you for helping us plan our wedding and thanks for the ceremony. It was been great to have you leading and teaching us because you have reached out as a friend." "I can't thank you enough for your help and guidance during and before Carly and Mike's wedding. You were amazing! I know Carly and Mike felt the same. Thank you for everything!" "Thank you for officiating at Erin and Jon's wedding. You made the ceremony so special with the beautiful words you spoke." "Dear Rabbi Miller, Thank you for officiating at our big simcha. Simply put, it was absolutely wonderful. Let's keep in touch and all the best to you and your family." 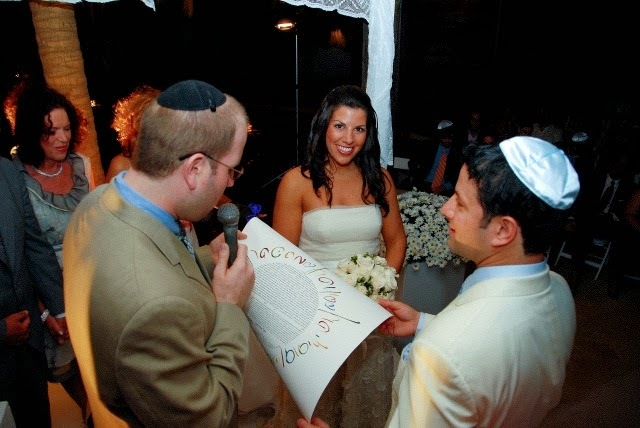 "Dear Rabbi, Thank you so much for officiating our wedding and for making the process so relaxed, enjoyable and special!"